Removing wallpaper can be dreadful. You have heard the horror stories of taking down wallpaper. Sometimes it's not so much the actual wallpaper that is difficult to remove, it's the wallpaper backing. The face of the wallpaper may peel right off, leaving only the adhesive backing stuck on the walls. You can successfully remove wallpaper backing with the right tools and a bit of patience. Place a plastic dropcloth on the floor and over any furniture in the room. Cover electrical outlets with duct tape. This will protect these items from water. Remove the face of the wallpaper from the walls. Start at the upper corner of a wall and soak the wall with water. Use your hands to peel the wallpaper from the walls and a putty knife if necessary. Mix a spray bottle with a 50/50 solution of liquid fabric softener and warm water. 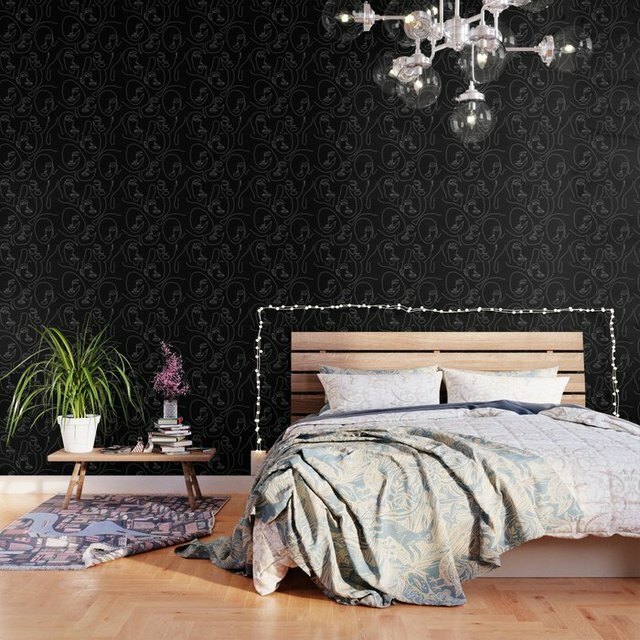 You can also use a wallpaper removal solution that you can purchase anywhere wallpaper is sold. Mix this solution according to the directions on the label. Spray the walls with the solution in the spray bottle. Do not spray more than a five-foot section at a time. Allow it to soak into the wall for 20 minutes if you are using the fabric softener solution. Follow the manufacturer's instructions when using a wallpaper removal solution. Scrape the backing off the wall beginning at the top of the wall. Use a 6-inch putty or wallboard knife to gently scrape the backing from the wall. You will need to apply a bit of force to remove the backing but not so much as to damage the wall itself. Mix ¼ cup of trisodium phosphate into a bucket with one gallon of warm water. Sponge clean the walls with the solution to remove any residual backing or glue.